Growing up I was a pretty good kid. My mom and dad divorced when I was 5, so my mom and I lived with my grandmother, who I idolized. We lived in a small town, on a large piece of property, with enough trees to call it a forest and enough places to get into trouble. But it was a time when people trusted and knew everyone, and getting into trouble meant that the whole town would know about it. The only electronic input we had was a TV and a radio. Both devices had telescoping metal antennas with a piece of aluminum foil perched like a flag so you could get better reception. There was no “social media” because those two items were not social and provided very limited media. But they were our means of input and connectivity with the world around us because the inescapable bombardment of current sights and sounds just didn’t exist. When my husband and I were raising our children we had a few easy rules for them that I think can be applied to today’s culture. It was just an easy way for us to respond to the music, movies, books, television, friends, and outside stimuli. First, there was no area of communication that was out of bounds. We required open and honest exchange and dishonesty was always a punishable offense. Next, we reserved the right to read the lyrics of every song they listened, meet the friends they spend time with, and know where they were and who they were with at all times. Finally, we told them if at any time we saw a marked change in their behavior or attitude we would remove whatever that influence was. There was clear agreement that nothing would be allowed to be a negative influence in their lives. It wasn’t always easy, but we made all of this clear and we would not compromise. So now we teleport to today and add phones, video games, Instagram, Snapchat, Twitter, real time photos, and video-sharing. All of these external options add a whole new dimension to parenting and privacy. But at the risk of sounding “old school”, parents still must maintain the right to look through, inspect, and know what their kids are doing, PERIOD! Your children don’t realize how easily they are influenced or how quickly they can be caught up in things that can be harmful or persuasive. If not monitored with mature eyes, the influence of social media can be life altering. Here are some easy boundary suggestions to set. Communicate them to your kids clearly, making yourself proactive rather than reactive. If there’s a disagreement on their part, you can negotiate, but you cannot compromise. Remember this isn’t an issue of privacy but of protection. ● Make sure you have all passwords at all times. Yes, it’s your right and responsibility to know EVERYTHING your children have access to. ● Phones need to be left on the kitchen counter when going to bed. There is a time to shut the brain off and sleep. There’s nothing of necessity they need to do in the middle of the night. 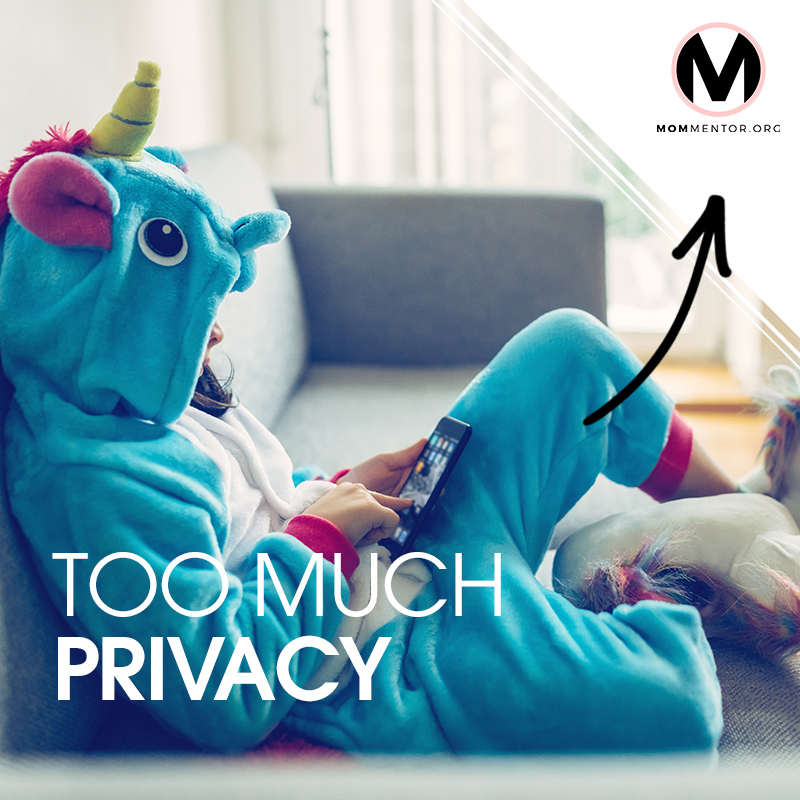 ● Place parental controls on your child’s phone, and on all other devices, TV’s, and computers. You need to control access to what is acceptable. So if you haven’t yet, set some parameters now. Be sure the rules are reasonable so that you can follow through. In the end, it will make you a lot less stressed, and they will be much more protected. Ultimately, that is what they need and probably want, although they don’t know it.